Puducherry Police Jobs Recruitment Notification 2018.Puducherry Police Department inviting applications for the positions of police constables, radio technician and deck handler jobs.Interested and Eligible Candidates can apply for the positions. Total vacant posts in Puducherry Police Department is 431. Segregation of vacancies is given below. Applicants must pass 10+2 or its equivalent from a recognized board to apply for police constable post. Matriculation holders having ITI certificate in Radio/ electronic telecommunication from a recognized institution can apply for radio technician post. HSC passed candidates with 3 years experience in Sea faring can apply for Deck Handler post. In Between 18 to 22 year candidates can apply for constable job. Between 20 to 27-year candidates can apply for radio technician post. Between 18 t0 30-year candidates can apply for deck handler post. Through written test and medical tests contenders will be recruited. 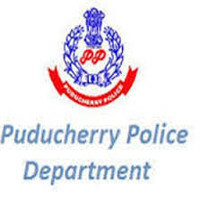 Mode of applying for Puducherry Police recruitment is through online. The registration link will be active from 23rd August 2018 to 22nd September 2018.
http://police.puducherry.gov.in/ is the link for candidates to apply directly.